Here is a report of what I did on the weekend. Saturday was cloudy and drizzly, which made hiking in Hveragerði kind of a stupid idea. This is what I did all the same. Stacey had some friends over from America and we all went to walk up Reykjadalur to a geothermal river, which we ambitiously intended to swim in. Stacey had done it last year and said it was really good. The weather was much better then, though. We were basically walking in a cloud, and it was super muddy and wet. We had to take our shoes off to cross the river at one point, and it was much less fun than last weekend (although the water was a lot warmer) because instead of hot, dry moss at the far bank there was just more cold mud and no chance of your feet drying. We got to the swimming bit, got changed in the cold mist and duly went into the river. It was tepid rather than hot, I would say, and too shallow really. Not one of my best geothermal experiences in Iceland. It did look as though it would be a nice walk in the sunshine, though, and the river would probably be more fun then too. 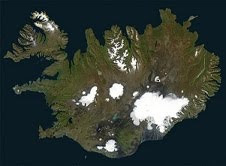 I'm not writing Reykjadalur off - it clearly was not at its best last Saturday. Then of course it was the Eurovision finals - the party this year was at Stacey's flat. I was pleased because she gets the BBC so we could watch the Graham Norton commentary, which is much better than the Icelandic coverage. I thought Italy was the best, but to be fair I was losing a lot of my critical faculties as the evening progressed. I was more drunk than I have been in a long time. Probably using an entire mini-bottle of vodka in one drink was not the best idea, and unfortunately my countries for the drinking game that goes with the points-awarding section were Iceland and Serbia, who did OK and very well respectively. I had a good time talking to Stacey's work friends, and Ahmad and Thomas were there for a bit as I recall. After the Eurovision we went downtown, to B5. This is not somewhere I would have chosen to go, and it's definitely not somewhere I'm going again. 900 kr. for a beer! And outrageously an ordinary Tuborg is the same price as Tuborg Classic. A short time after we arrived there I managed to destroy my SIM card. I'm not sure how, but it got onto the screen where it asks for your PIN. I kept pressing the button with "O" on it rather than "0", and after a while it started to suspect that I didn't know my PIN and asked for my PUK instead. I became distressed at the non-functionality of my phone and decided to go home to resolve this, strewed the contents of my "important pieces of paper" file all over the bathroom floor, and found the PUK from my bank account. I entered this number over and over again (which of course has nothing to do with my phone) until the SIM card gave up and committed suicide. So now I have to go to Síminn and get a new one. I suppose this will teach me a lesson or something? Although probably not. Sunday was sunny and lovely. As is traditional in good weather in Reykjavík, Grétar and I went down to Austurvöllur (after I had recovered from the worst of the hangover), where we met Helgi and lounged around on the grass. We got some sandwiches, I did some colouring in in a little Paddington Bear colouring book that I found at work, was just dozing off in the sunshine when I heard some sort of commotion. Looked up and there was a woman completely off her face, definitely something other than alcohol involved, just going nuts. She had apparently taken a disliking to a group of young men drinking cans on the wall and was screaming abuse at them, spitting on them, hurling herself at them. After a while a friend of hers turned up (also smashed) and wrestled her to the ground in a strangle hold whilst she was kicking him and shouting. Eventually the police came along and arrested the woman, then came back to arrest the man as well. Then a bit later two of the alcoholics in residence (there are always a few on the benches in Austurvöllur) got up and pushed another sleepy-looking alcoholic into a bin so hard that the bin fell over and the hapless róni just lay there floundering like an upturned turtle until some people pulled him to his feet. So there was plenty to watch. I suppose the sunshine puts the drunks in high spirits just like the rest of us. Then we went to Ingólfstorg, which is the skater and motorbike square. We got ourselves some ice-creams and sat and watched the kids fall off their skateboards again and again, completely failing to get any combo bonuses. At one point a stark naked man skateboarded right across the square in front of us - I assume some sort of dare. In the evening we went to see Men In Black III at the Háskólabíó, which was a mixed bag to be honest, but all in all a good weekend I think. Today is Whit Monday, so I don't have to go in to work until 12.30, which I did not realise until I had walked to the bus stop this morning. Nice to have the morning off, though - I just got back from a cycle to the Seltjarnarnes lighthouse. I think actually maybe I will cycle to work as well, the weather is so great. Plus I have a helmet now so that I am less likely to die at the hands of a Reykjavík motorist, "youth" size from Hagkaup, with red flames on it and everything. Ógeðslega flottur sko. 1. I have an exam in a week in which I will have to translate a three hundred word text from Icelandic to English, to see if I am clever enough to get into Háskóli Íslands. I think I probably will be. 3. I have lost my watch. I am quite upset about this. The weather's been absolutely fantastic - spring-time in Iceland is probably the best thing in the world. The summer birds are all here and it's stopped getting dark. A few times it's been warm enough to go out without a coat. On Sunday in fact it was full on t-shirt weather, got up to fourteen or fifteen degrees. Christina, Kalli, Grétar and I went to Hvalfjörður and hiked to Glymur, the tallest waterfall in Iceland. It was so hot and sunny that I got a bit burnt round my neck. Otherwise the tan is coming on nicely. Hiking up the top of the valley, looking out towards where Hvalfjörður opens into the sea. A glimpse of the top of the waterfall coming over the ridge. The waterfall Glymur itself. It was much more beautiful than this photo. Very high. You can see the fulmars nesting on the cliffs to the right. Kalli during our lunch break. Beyond the top of the waterfall, following the river to the lake Hvalvatn. Christina and Kalli fording the river. It was really, really cold on bare feet. It was the first time I've forded an Icelandic river on foot! Grétar makes it to the other side. Feet drying (and warming up) in the sun. Then we walked back along the river to Glymur again, but on the other side this time. The background came out really hazy on a lot of my photos, because it was so bright. The weather really couldn't have been better. Some little fosses building up to the big one. I practice my intrepid explorer pose. Probably one of the best waterfalls I have seen in Iceland. This is not a post about anything, just a series of pictures and things from my life. Today is a national holiday in Iceland. It's May Day; we're celebrating the struggle for workers' rights and that. In our house we have just finished turning one of the walls into a shrine to Páll Óskar, which was definitely a good idea. Thomas with the majesty of the Páll Óskar wall. As it said on the packet, these are indeed 34 gordjöss póstkort fyrir alla fjölskylduna. It looks well good. In order to stick these up I went to Tiger yesterday to get some blue tac. Guess what it's called in Danish? Much better name for it! Although I wonder if there actually is a resemblance, and how do they know? Tiger is great. It was Bjarni's birthday yesterday, so as well as my elefantsnot, I also got him a lollipop, a card, and probably the most pointless item in the entire shop: Be Quiet plasters! I also got these for my brother's birthday, because they are excellent. They are just plasters with stupid things written on them, apparently designed by recovering Danish drug-addicts as a communication aid (because sometimes it is difficult to say "be honest" with your mouth). We went to Hemmi og Valdi for some birthday beers with Bjarni last night and the plasters were a big hit. Grétar modelling the "Do you understand what I am saying?" plaster. Today we are mostly hanging around the house. Thomas, Hlín, Högni and I just went for ice-cream at Ísbúðin Vesturbæjar. Ahmad is preparing hummus and other delicious things for an Arabic food evening, so we've got some friends coming over later. I suppose we should be marching for our rights or something, but this seems more relaxing. Our living room is amazing. Högni gets to grips with the finer points of the art of photography. Bravo, Christina and me in Babalú on Sunday. Look, I am wearing different clothes. Stacey and Ahmad in Babalú. Enjoying the book of Glen Baxter cartoons. Our toothbrush holder. This excellent mug sadly suffered a hairline fracture in transit to Iceland, but luckily I was able to find it a new role. I am sure you enjoyed this unfocused glimpse of my home, friends and life.